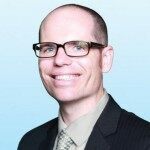 JLL Retail Blog > PERSPECTIVE > Starbucks to Bar-bucks: Will Customers Swap Their Coffee for Cabernet? One recent evening a team of JLL researchers descended upon a Chicago Starbucks to test out the chain’s new after-four-p.m. drink menu – a concept Starbucks is selectively launching. As the group waited for beer, wine and spicy pepitas, they surveyed the landscape – a student banged away on his laptop, a group of women chatted over coffee drinks and an unkempt gentleman shouted loudly to no one but himself. A happy hour hotspot it was not. In the next five years Starbucks plans to serve beer, wine and small plates at 2,000 locations. The roll-out is modest in comparison with the brand’s overall global ambitions, adding to its offerings at only 17% of its existing U.S. locations. T here are two dimensions Starbucks can grow in any market. : space and time. In geographic terms, the company has a limited number of holes left to fill in the U.S. (its greatest opportunity for expansion is in Asia), so that leaves time. Starbucks has long pushed to become that “third place” in our lives, after home and office. By opening up the evening drinks, the third place extends into the night with alcohol and tapas. Locations that were originally selected for high daytime traffic are often duds after hours. Starbucks has clearly been selective in choosing where to place its initial Evenings locations, rolling them out where they’ll have the greatest shot at catching on. The five initial Chicago locations with Evenings menus are within above-average areas of alcohol spend. Our analysis found an average local booze spend $3.8 million higher than the overall average at these locations. Starbucks will likely face limiting factors to success with its Evening program. Undoubtedly there will be high-traffic urban areas that will see increased revenues from the move. But even in those areas, there’s no guarantee that patrons will choose to do their drinking there. Remember that Chicago spot our researchers visited? It sits in a trade area with a $7.5 million higher alcohol spend than the average. But at least on that night, few of those drinkers chose to have an adult beverage at that third place. S tarbucks isn’t alone in testing the water with beer and wine in their existing storefronts. Mature restaurant concepts like Burger King and Taco Bell are also experimenting, but their moves have been modest. 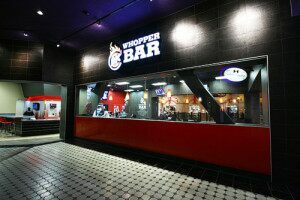 The BK Whopper Bar concept only has a few locations, and Taco Bell will serve adult beverages at only two spots for now. In America at least, alcohol is not an integral part of our QSR experience. Download JLL’s full PERSPECTIVE on the trend or visit www.jllretail.com/research, and follow @JLLRetail on Twitter and Instagram.